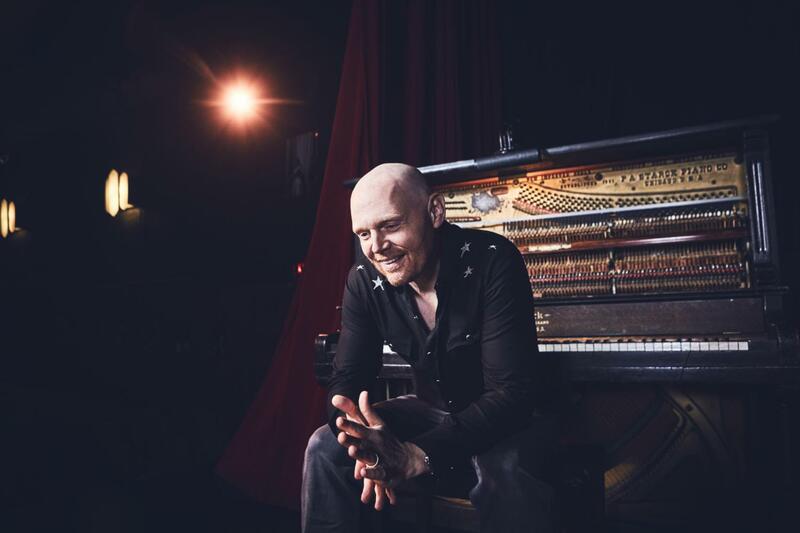 Since the last time Bill Burr was in Pittsburgh, he’s had a kid and written three seasons of an animated Netflix show, “F is for Family.” But he’s adamant that his worldview and his stand-up routine remain largely unchanged. That means when he makes his “triumphant return” to the City April 6, most in the audience at his two shows at the Benedum Center will be entertained by his rant-filled act. But a few will likely leave offended by his direct approach and ability to anger just about any side of any issue. The Pitt News talked with Burr ahead of his two stand-up shows in Pittsburgh, one of the first stops on his current tour. His most recent special, “Walk Your Way Out,” is currently streaming on Netflix. The Pitt News: You had a lot of jokes in some of your previous specials about parenting before you were a parent. Are you rethinking any of that now that you’re a year or so in? Bill Burr: No I’m not. I find most parents annoying. I really do, they’re just constantly patting themselves on the back about whatever they’re doing. It’s just like, you know, what you’re doing is important and blah blah blah, but you decided to have a kid, you know what I mean? I can listen to somebody that got trapped — someone that was like “Oh man, it’s fine, I’m on the pill,” then she wasn’t, and then all of a sudden you’re having a kid with someone you didn’t want to. The two people who fell in love and got married and decided to have a kid, when they start complaining, I just can’t listen to it. What is the problem? Having a kid is f—ing awesome. It’s awesome. No matter what hardships you have, when the kid comes up and hugs you, it’s over. TPN: What can people expect on the new tour? BB: I’m working on all of the stuff. I’m sort of examining a lot of my own shortcomings in the second half of my act — the first half of my act is me going off on some things that are freaking me out. You know, I can have a little bit of a different worldview now that I have a kid. But you know, it’s not a wholesome worldview. People keep asking, “you got a kid now, are you afraid it’s gonna make you soft?” I’m more freaked out than ever. TPN: What have you been working on in the past couple months? BB: We’ve been working on “F is for Family.” It’s all written and recorded, so now we’re just editing and fine-tuning season three, if you can believe it. That’s going to come out later this year. And then I did a movie called “Front Runner” that stars Hugh Jackman, directed by Jason Reitman, which is a really cool movie. For some reason on my IMDb page they have me listed as playing George McGovern. I think somebody’s making fun of the fact that I’m bald, that’s what it is. But it’s funny to me because it’s just like, there’s just no checks and balances on IMDb — how did that get on there? TPN: You’ve already written and recorded all of season three. Do you find that after two seasons you still have some fresh ideas? BB: I think this is our best season. It’s gone the most smooth as far as, like, the editing and all that. The first couple years, the animators were trying to figure out each other’s language. Dial that down, bring this up — that’s really vague the first two years. So once people understand your levels, we can move along a lot more efficiently. TPN: For your podcast, what’s your process for knowing what you want to talk about and talk for an hour about whatever comes to your mind? BB: I write down a couple subjects I want to talk about and I just know that that will set me off and get me going. So i’ll just write Bruins, whatever, Me Too, Facebook, like that, I’ll write the names of subjects, then I’ll start with one and I just forget about them, and then if I feel like whatever run I’m going on is starting to die down I glance down and I’m like “Oh yeah I wanted to talk about that.” On good days, I barely look at it, and on bad days, I just have to start talking about how bad the podcast is. TPN: Do you think that that kind of practice, talking about stuff like that, has changed the way you approach your stand-up? BB: Well it’s already my approach to stand-up so it’s sort of the same thing. Going up there, you start talking, and you try to do as little of your act as possible. Why would I want to do my act? That’s work. Just going off is fun, I feel like I’m in the break room having a sandwich. I have my act, but hopefully I go out there and I catch a zone or something, and then it’s like literally 20 minutes of material, and you look down and you’ve done close to an hour. And then on bad days, 20 minutes of material takes six minutes. It’s a whole boring process. If I really talk to you about the process of putting an hour of comedy together, it’s one of the most unfunny things ever. TPN: One of your go-to topics is that people get too offended by comedy. BB: Honestly, I don’t think that people are offended by comedy, I just think the people that are offended by comedy make the news because it’s an easy story, and it’s a way to avoid talking about other things that are actually way worse problems, but those way worse problems actually buy advertising time on those news networks, so they choose to ignore those and go after stand-up comics doing jokes about gender neutral bathrooms. TPN: You have a pretty famous rant about the City of Philadelphia — about how you never wanted them to win the Super Bowl. What was your reaction to their win? BB: Well, they beat my team, so I didn’t enjoy it, but if they weren’t playing my team, I totally would have enjoyed it. That rant against Philly — I don’t really have any problem with Philadelphia. That night when I was getting booed in Philly, I was just trying to annoy them back. If that happened to me in Detroit, I would have trashed Detroit, and then everybody would have thought I hated Detroit. But I don’t, I don’t hate either city. God bless American cities. TPN: You were on Conan the day after that Super Bowl, right? BB: They always do that to me! They put me on the day after Trump wins, it felt like a funeral there, and then they put me on the day after the Patriots, you know I got to give them s–t for that next time I go there. I love Conan though, I’m not sincerely upset about it. TPN: You said when Donald Trump got into office, you didn’t think peoples’ lives were going to change that much. Still think that’s true? BB: I should have clarified — white people’s lives aren’t going to change. Seeing all those white women crying, like, “Oh my god, what’s going to happen?” You’re not Honey Boo Boo living on some dirt floor cabin in the Appalachias. Basically, the last election was like 2 a.m. at a bar, and you have to go home with somebody. There was no winning on that one. If you think there was, you’re lying to yourself, but this is stuff I usually don’t talk about. One of the funniest things about all these actors now that say they want to run for office and be president, the complete disrespect for the job by saying you want to do that, the reason why those — they always act like it’s the economy that ages the president. It isn’t, it’s the dead bodies. That’s what ages you, I would think. It’s like, “Yeah, I would like to make these life-and-death decisions for people. I think I’m qualified to do that.” What kind of person thinks that? I think it’s an astoundingly arrogant thing to think that you could go from doing a job where you pretend to be an army guy to then leading the actual armed forces of our nation. To say, “I played a general, I think I could be president!” That’s why we have a f—ing reality TV star in the goddamn office. TPN: When you come to Pittsburgh, any places you’re going to try to go? BB: You always got to go to that Primanti’s, but I’ve been trying not to eat that way. But I feel like I can eat one of those, because I don’t live in Pittsburgh — because that food is like crack. Once you get it into your system, you crave it. But I’m going to leave the next day, so I think I’m going to be fine.